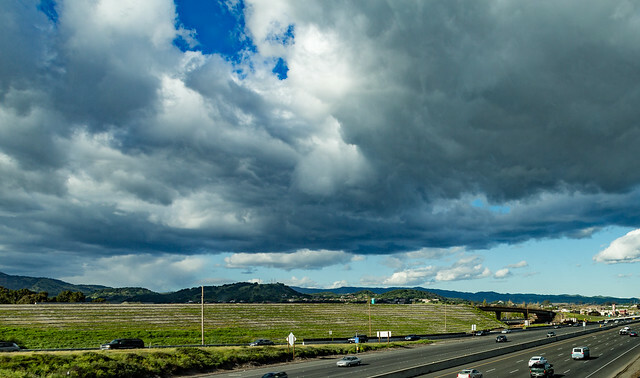 Located in the northern part of the San Francisco Bay area, Fairfield is the county seat of Solano County and one of the most preferred locations for relocations. The number of Fairfield residents is constantly increasing and the reasons for that are numerous. The most important one is that the city is conveniently located between two largest cities in Northern California, San Francisco, and Sacramento. The city is also home to several big companies, e.g. Jelly Belly, therefore, finding a job in Fairfield is not that hard. For whatever reason you decided to make Fairfield your new home, we stand at your service to help you relocate. We are a full-service movers’ company that can handle all your moving needs. Even if your cargo seems difficult to move, you can be sure that our Fairfield movers will be able to take care of it. And the best thing is that we won’t overcharge you for our services, no matter how large or heavy your stuff might be. It also doesn’t matter from where you’re relocating; we offer both local and long-distance service. We are always on time. We believe that time is money. Literally! And that’s why we’re gonna pay you $1 for every minute of being late. But, don’t get your hopes up, you won’t get rich as we’re almost always on time. Punctuality is our middle name! We work on weekends. Our aim is to make your move as convenient as possible. That’s why we’re at your service at any time. If you need us to help you with relocation during the weekend or a holiday, no problem. Just tell us in time. Individual approach. Because each client has their own likes and dislikes, we‘ve decided to be completely flexible in terms of services, time frames, etc. Everything is in your hands, you just need to tell us what to do and we’ll do it! No hidden costs. If you do a Google search on a term like “moving companies Fairfield, CA” you will see that many companies claim they offer the best rates. The problem is that if you look close enough at their offer, you will see that there are all sorts of hidden fees. That’s not the case with us, we like to do business fair and square. That’s why we will give you a free quote, so you can decide whether or not to hire us. Many believe that Northern California is a heaven on Earth. However, living in large cities like Sacramento or San Francisco can be pretty stressful sometimes. If you would like to get away from the noise of a big city, but still be near to all the major cultural, financial, and industrial hubs of Northern California, moving to Fairfield is your perfect choice. The city is located less than 50 miles from San Francisco and just a bit further from Sacramento. Furthermore, it’s connected to both of these cities with the interstate 80, which means that you can get there in half an hour by car. And this is exactly the reason why a big percentage of Fairfield residents commute to San Francisco or Sacramento every day. Of course, this does not mean that you can’t find a job in Fairfield. On the contrary, the industry of this city is booming right now. And it has been for years. The best thing is that economy experts agree that the city is going to remain a fertile ground for business for many, many years. If you’re not sure that it’s us who you need to hire to relocate your stuff, the best thing you can do is get in touch with our moving managers. You can do that through the live chat feature on our website or simply by calling our number (415) 579-2747. Apart from getting more information about our services, you can ask our movers to give you a quote, free of charge, of course.